There are moments in history when the most ardent articulations for peace and harmony go beyond being mere words and turn into powerful agents of change. The visit of Pope Francis to the UAE has been one such moment that has irrefutably proved how the will of a nation to promote peace and understanding can actually lead the world to witness the writing of a new chapter in human relations. Three supremely significant outcomes of the visit and the signing of the Abu Dhabi Declaration — the Zayed International Fund for Coexistence, The Abrahamic Family House to be built on Saadiyat Island in Abu Dhabi and the building of a Church of Saint Francis and Mosque of Grand Imam Ahmad Al Tayyeb — point the way forward for humanity. The Zayed International Fund has clear, result-oriented functions that reiterate a fundamental truth: peace has to be an intrinsic value, not an imposed reality. Among its many roles, the Fund will create school syllabi to promote peace as an indispensable tool of growth in young minds, train teachers to become advocates of tolerance and harmony and even award scholarships to postgraduate students to conduct research into the principles of harmony. These are practical and effective solutions to one of the most vexing problems of mankind — the need to ensure peace as a natural state of human existence. With its progressive and deeply compassionate world view, the UAE is proving that the ability to coexist and spread love is in fact an elemental human capability. It is graspable, not elusive, and with the right nurture and nourishment, it can thrive and increase to become a global reality. 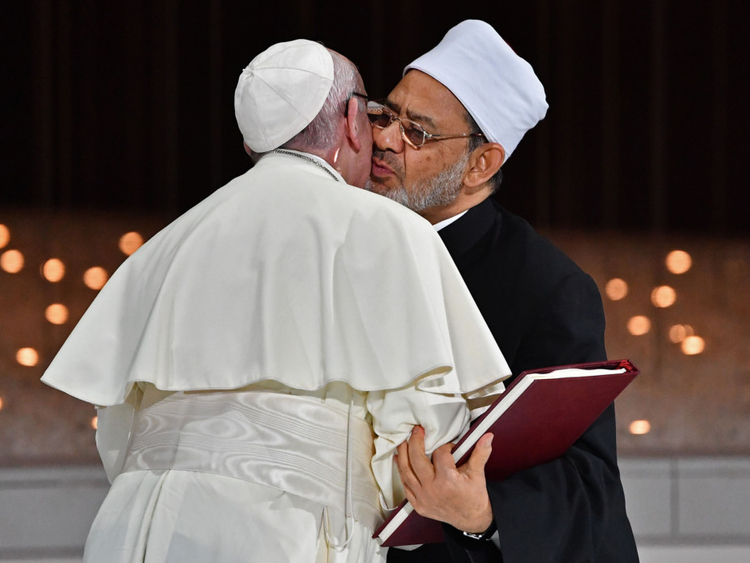 The Abrahamic House and the Church of Saint Francis and Mosque of Grand Imam Ahmad Al Tayyeb, for their part, will immortalise another oldest truth of the human race — that in fraternity lies strength and dignity, in togetherness lies harmony and beauty, and in sharing exists the true meaning of love. These may well be abstract concepts for many countries struggling with religious and ethnic conflicts but for the UAE, its noble values of harmony, respect for differences and the dignity of coexistence are innate to its way of life, as it opens its heart to over 200 nationalities. The papal visit has accentuated these facets of the UAE with magnificent clarity as the nation continues to set the pace in internationalism and humanitarianism, led by its true understanding of what constitutes peace, goodwill and harmony as a way of life.